OP- Lüftungsgerät Operio: bis zu 95 % mehr Sicherheit bei Operationen! The Operio Mobile is an instrument that’s designed to sterilize the air around the operating field by creating a directed, laminar, non-turbulent, ultraclean air flow over the surgical site and/or sterile instruments. The operio units circulates the ambient air through a HEPA filter to remove bacteria and particles, to help ensure that the surgical site and instruments remain sterile throughout the procedure. The direction of the air flow is easily controlled and the resulting sterile air zone is clearly shown via a “smart” visual indicator. 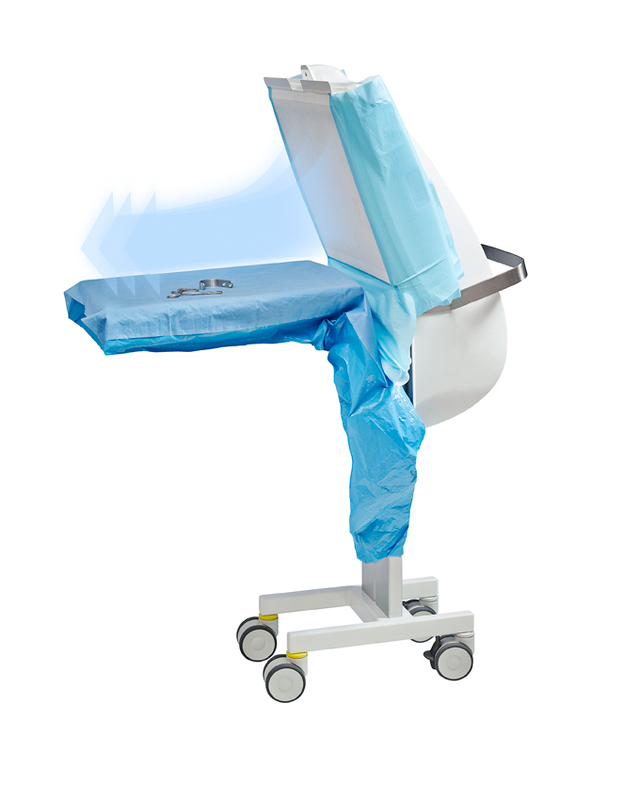 The unit includes a sterile protective barrier that allows it to be placed close to the operating table and an integrated foldable instrument tray that can replace a standalone table, saving space in the OR. The unit is designed to be easily moved from room to room. The model is a mobile device that’s very easy to use; it’s like pulling up a monitor next to the eye. Operio is rolled into position either above the patient’s head for a right eye, or on the right side of the patient’s head for a left eye. It generates a laminar flow that sterilizes the field wherever it’s pointing.